Hey all, I wanted to inform you that I will no longer be making review posts on Cartoon Critique. For a number of reasons (one of which is expanding to other forms of reviews like games, movies, and books), I have chosen to start writing reviews on Wordpress instead. Here is a link to the new page. I've already finished my first review on the new site, so go ahead and check it out. I'll also probably be posting revised versions of my reviews from this page, so keep a look out for them, too. Hey everyone, I know this blog doesn't get updated all that frequently, but I'm going to try to start releasing new reviews on a more regular basis (at least once a month). If you're interested, click the link below to join the Cartoon Critique Facebook page so that you'll be alerted about new updates to the blog. Thanks for reading! Click here to go to the Cartoon Critique Facebook page! 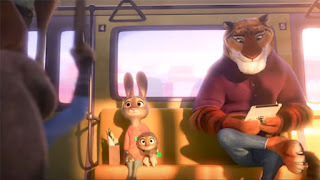 Random Rant: Is Zootopia Racist? For those who haven't herd (get it? ), Disney's latest installment Zootopia has been a huge success, grossing nearly $300 million so far and receiving an astonishing 99% Fresh Rating on Rotten Tomatoes. Being praised by many as one of the best Disney films in decades and even as one of the best police movies in years (yeah, a Disney movie about anthropomorphic animals. Go figure), Zootopia is definitely going to be in the running for Best Animated Feature at next year's Oscars. There are a lot of things about this movie that have made it so well received - including fantastic writing, beautiful animation, and spot-on voice acting - but the factor that most critics have focused on is the movie's underlying message about racial equality. Evidenced here where the word "cute" is equated to a racial slur. 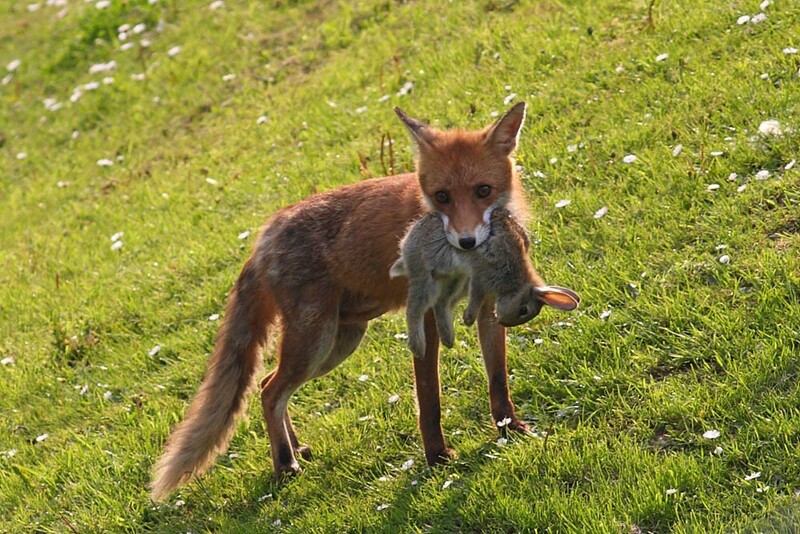 See, while Zootopia may appear to be a buddy cop movie starring a rabbit and a fox, the majority of the film serves to act as an allegory for real world issues, particularly racism. In Zootopia, animals (specifically mammals) have given up their primal ways in order to live together in harmony. This seems nice at first, but it turns out many of the animals haven't quite put their days in the wild behind them. 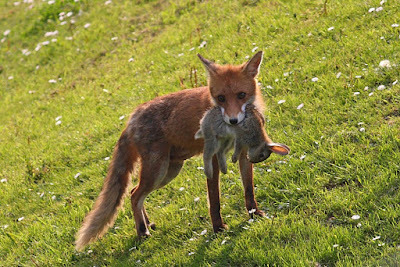 A lot of prey (rabbits, sheep, or whatever) still feel uneasy about the predators that once hunted them in the jungle. As a result, the predators, who are the minority in the film, often come across prejudice that leaves them being treated unfairly. There's a building tension that finally erupts in the third act of the movie, and it all serves as a pretty obvious metaphor for the way minorities, specifically the black community, is treated in America. "Predators eat prey. This is their relationship, and we in the audience understand it as such. Yes, the bunny should be pulling her kids away from the tiger. The tiger is demonstrably, historically dangerous. He has evolved to be dangerous to her." This is the scene he's referring to. To be fair, the movie tries to show that the belief of a group being biologically violent is wrong. 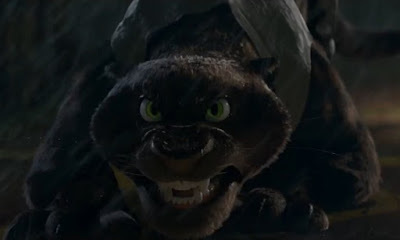 After a series of attacks from predators that have gone savage, the main character, rabbit-cop Judy Hopps, says in a press conference that there may be something in the predators' DNA that is making them resort to their primal, deadly instincts. 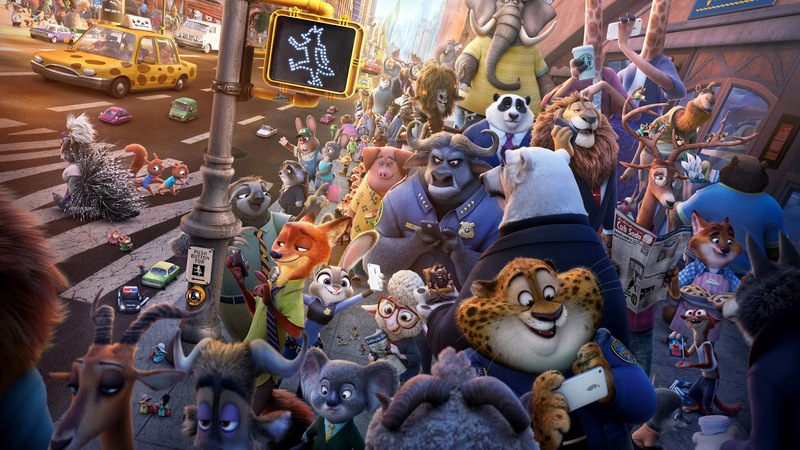 The movie shows that this mindset is extremely harmful: Judy's fox friend Nick Wilde is really hurt by her narrow-minded remarks, and the city bursts into civil unrest as prey, afraid of the "savage" predators, riot and try to take away the predators' freedom. But here's the thing: logically, Judy wasn't wrong. The movie tells us that predators did kill prey in the past, that they did have this biological drive to kill. The characters in the movie may insist that fearing the predators is wrong, but in the end these are PREDATORS, animals that evolved in order to kill and consume prey. The prey have a totally legitimate reason to be afraid of them. And don't even try to tell me that a writing team that put this much thought into racial allegory didn't stop to wonder if they should use a black panther as the threat during one of the movie's most intense scenes. What's wrong with a jaguar? Or a tiger? Or literally any other jungle predator? So what, is there a pro-racist message beneath this anti-racist message beneath this children's film about animals that wear pants? Not quite. Faraci claims that the movie just gets its metaphors confused, but I think it goes a little deeper than that. I think this movie wanted to present the mindset of racism so that it could break down the forms of reasoning that allow for these kinds of prejudice. Plenty of films have had the message of "prejudice is bad," but few have accurately shown how prejudice forms, how it is defended, and most importantly, how to pull apart prejudiced arguments so that the narrow-minded can think a little more openly. Through the use of animal allegory, Zootopia is trying to build up and then break down racist mentalities. The problem is, if you look at the movie hard enough, it mostly fails at the latter. The movie purposefully presents the idea that predators are biologically and historically dangerous, but when it comes time to pull the rug out from under that assertion, the rug gets stuck. Here's a leaked image from the sequel. "...every single animal behaves either in stereotypical ways for their species (ie, the population of Bunny Boro is ever escalating by the second or wolves are dumb pack animals who howl uncontrollably or sheep are meek) or makes jokes about how they are not like their stereotypical images (an elephant with a bad memory)." A lot of these stereotypes are just played for laughs, but they're still stereotypes in a movie that is trying to break down stereotypes. It's so frustrating to see a complex and deep scene like when Nick Wilde explains that he only conforms to the "sly fox" persona because that's all society expects of him immediately followed by a joke about how wolves are pack-minded simpletons who will break out into howling fits. While the movie is just trying to get some laughs out of its setup of an animal-controlled world, it still weakens the message of "don't judge based on race/species." It doesn't completely undercut itself, but it does leave the movie on less stable footing. This scene, while hilarious, represents this problem pretty well. All of that said, I still think this is an important movie for people to go and watch. The movie hides its weak metaphors to the best of its ability, and it does attempt to present a really important message on a more extensive level than I think has ever been done in a family film. I don't think most kids will analyze the movie enough to work out the flawed logic of the film's arguments. On top of that, the movie is really good. The story is compelling, and while there are more references than I'd like, most of the humor stands up well on its own. The characters are charming and memorable and the animation is clean and fun. It's a good movie, as is to be expected of Disney, but people do need to stop and think about the underlying messages, and the ones that may be underlying those. This movie is well-intentioned and ambitious, but that doesn't mean it's free from crucial flaws.